It's still Chinese New Year and I'm wondering to myself, "what am I doing here in UK?!" I should be at home enjoying mom's cooking instead of being so gay & cooking for myself. I should be out with my buddies at a cool establishment instead of being so boring & working on school documents. I should be catching up with older relatives instead of force-feeding children English lessons for their own good. a bed-ridden fever & body aches to accompany. but I was too sick to enjoy anything. I got a toothache which hurts so very bad. Even though, I had a plague-ridden CNY holiday, I did manage to have a good time with friends & family. The limited time spent with them was well-appreciated. I also managed to catch two movies: Red Cliff 2 & Underworld 3. Red Cliff was awesome while Underworld was average. 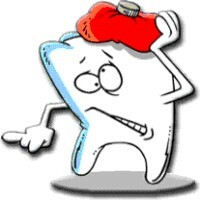 Right now, I'm recovering from a fever, a cold & a painful toothache. Do pray for my recovery! It's for the benefit of my students! pain & suffering first, joy later!